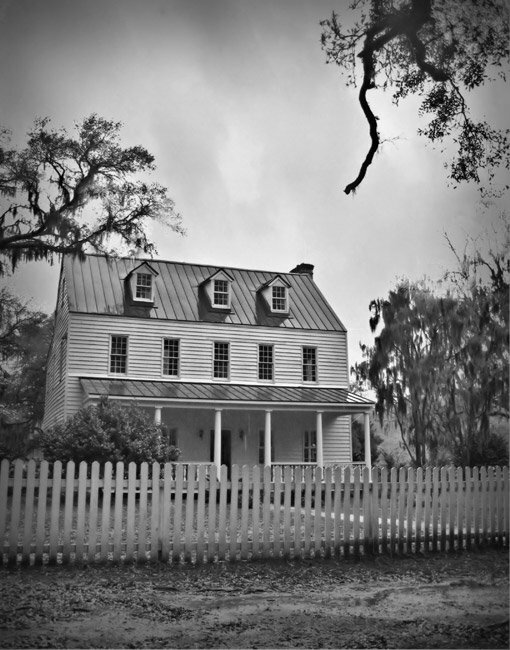 This Edisto Island home known as the Bailey House was built by Judge Sandifer Holmes around 1799 – a prosperous year for planters on lowcountry sea islands. Soil and climate produced cotton that could be spun into the finest thread available at the time. Sea Island cotton was sought after throughout the world and commanded premium prices. After a string of ownerships, the house and property were eventually sold to William Bailey, who bought it from the Stevens family. Photographer Adam Morris took the below photo. His parents now own the Bailey House, which they operate as an event site. 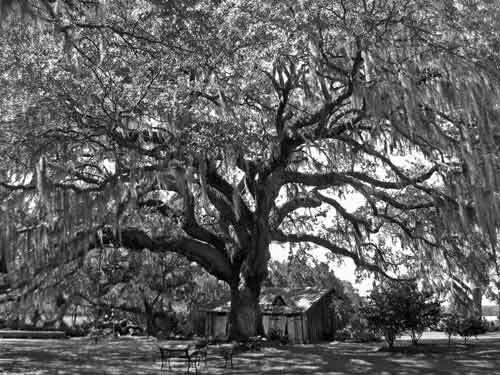 An impressive live oak tree shades the backyard of the historic home near the Old Post Office Restaurant, an establishment created from a former general store and post office operated by the same Baileys who owned this property. In fact, before the general store – known as Bailey’s Store – was relocated into in 1907, it was operated on the ground floor of this home by Judge Holmes. 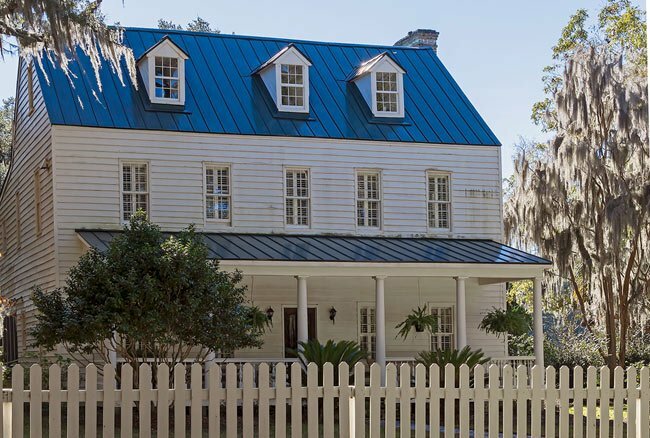 The house remained in the Bailey family for many generations, but Adam’s father says it was this grand and sprawling tree that convinced him to buy the property when he had the opportunity in 1984. Adam and his wife held their wedding reception under the oak’s canopy in 2003 and are the current proprietors of the Old Post Office Restaurant. I enjoyed this information and pictures. My family were in South Carolina by 1704 on the Edsito River near Wilson SC. There was a Brunson’s Mill, Brunson’s Swamp and Pond, and my gggrandmother was Mary Polly Bailey. Edisto Island is one of our favorite places on Earth! My family founded this Island. Some came on into Barnwell County. Hi, Lauren. We just write about South Carolina landmarks but are not actually affiliated with them. There is a website on the page above the map, and I hope that will lead you to someone who can answer your question. Best of luck! Hello, I am interested in having my wedding at the Bailey House and was wondering if the house was available on May 8, 2015. Please get back to me as soon as possible. Thanks a lot.